Tai chi may also be helpful for women with higher-than-average risk of developing heart disease. A study from Virginia Commonwealth University suggests the practice may reduce fatigue and inflammation, while increasing mindfulness, self-compassion and spirituality, in this population. Curious whether tai chi could play a role in overall prevention of heart disease, investigators designed their study to examine how tai chi would affect psychosocial, immune, neuroendocrine and cardiovascular conditions associated with increased disease risk. The 8-week intervention involved a wait-list control group, a tai chi practice group, and pre- and posttesting. Sixty-three women, aged 35–50, at increased heart disease risk but without any current disease, completed the study. Data collection included inflammation indicators and assessments of fatigue, stress, depression, social support, mindfulness, self-compassion and spirituality. Acute and chronic perceived stress can trigger immune system changes that increase the incidence of heart disease. And depression—a psychosocial risk factor for cardiovascular disease—often causes fatigue, which can disrupt metabolic processes and raise CVD risk through sedentary behavior and poor self-care. By contrast, self-compassion reduces depression and anxiety while enhancing well-being and life satisfaction. Studies show that both self-compassion and spirituality improve emotion regulation, reducing stress reactivity. Tai chi participants took one weekly 60-minute instructor-led small-group class, that focused on developing balance, practicing focused breathing, and learning movements and use of consciousness for relaxation. Researchers designed the training specifically to improve attention and to foster a mind-body relaxation experience. Participants were encouraged to practice daily at home for at least 15 minutes with a DVD. Control group members were instructed to live life as usual and not to engage in any new mind-body practices during the 8 weeks. Data analysis showed that tai chi group members significantly reduced fatigue and inflammatory markers. Other psychosocial factors that improved included mindfulness, self-compassion, and spiritual thoughts and behaviors. In addition to class attendance, tai chi participants averaged 12 minutes of daily practice. Study authors concluded, "Tai chi is a feasible and acceptable moving meditation practice that appears to decrease fatigue and may decrease inflammatory signaling. Additionally, it can increase mindfulness, spirituality, and self-compassion." Limitations of the study included its small sample size, lack of adequate diversity among subjects and loss of data related to certain biomarkers. 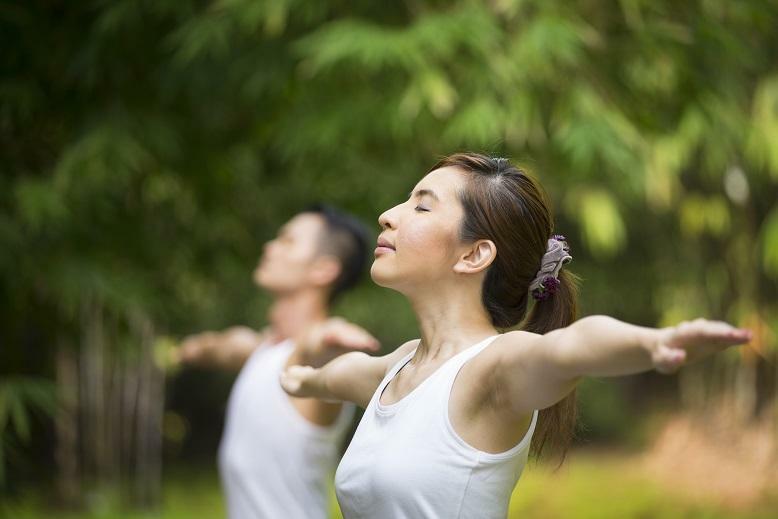 To develop integrative approaches to disease prevention, more research is needed to test how interventions like tai chi can affect both the immune system and psychosocial factors. The study is available in the American Journal of Health Promotion &lpar;2016; 30 , 613—22&rpar;.